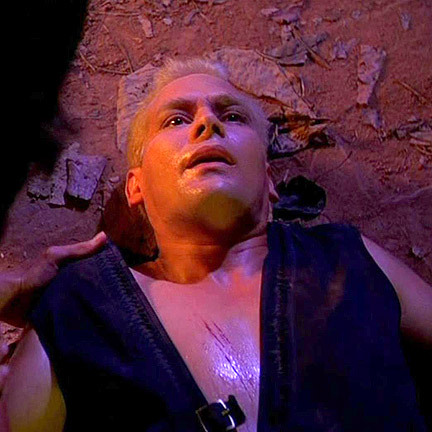 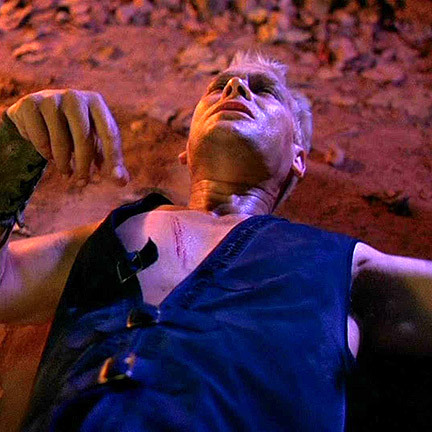 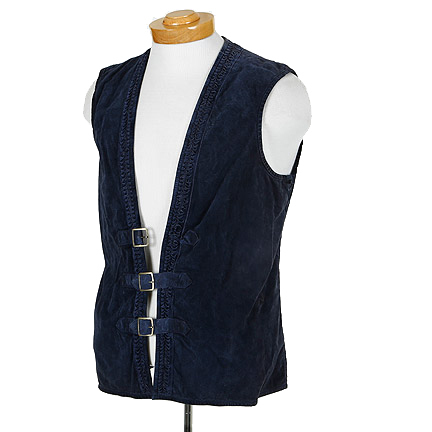 This leather vest was worn by the character Lord Rayden portrayed by James Remar in the 1997 motion picture “Mortal Kombat 2: Annihilation”, sequel to the cult classic 1995 feature “Mortal Kombat” starring Christopher Lambert (Highlander). 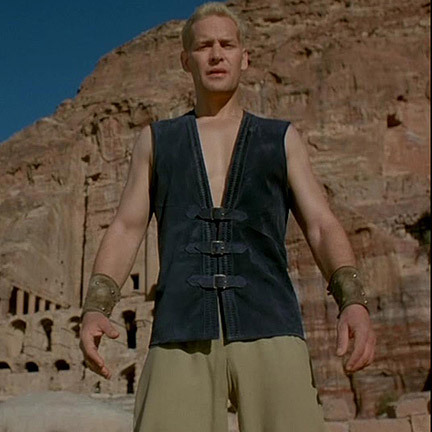 Mr. Remar assumed the role of Rayden in the sequel, and wore the vest in multiple scenes in the second half of the film. 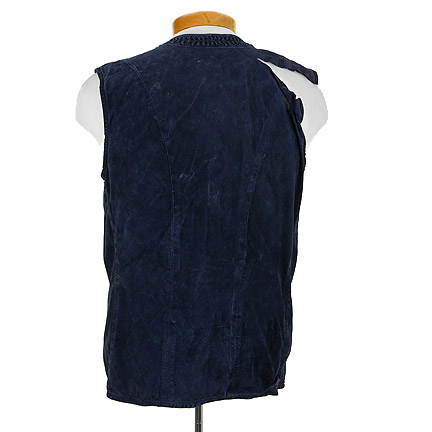 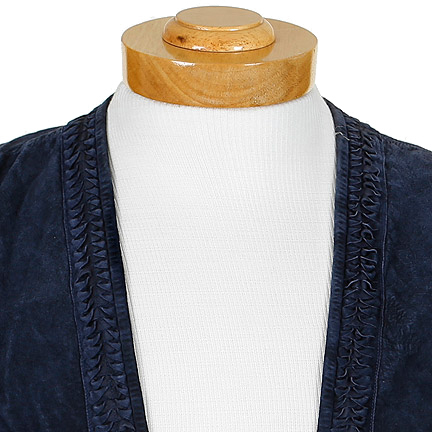 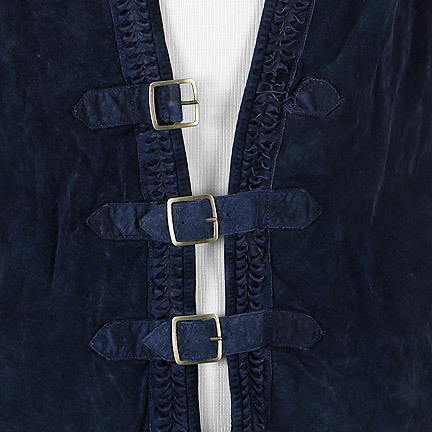 The vest is constructed of blue suede with leather stitching around the neckline and three metal buckle front closure, one of the buckles and the back of the vest have been torn. 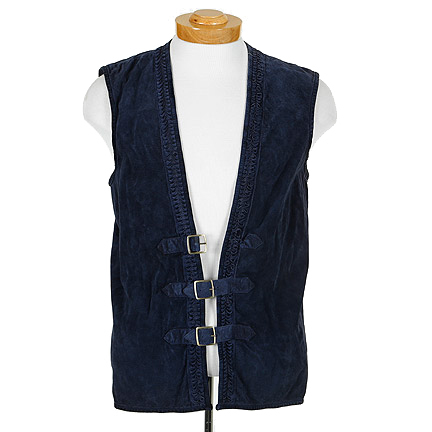 Mr. Remar wears this vest in a battle scene where he is killed by an energy blast from “Shao Kahn” (Brian Thompson). 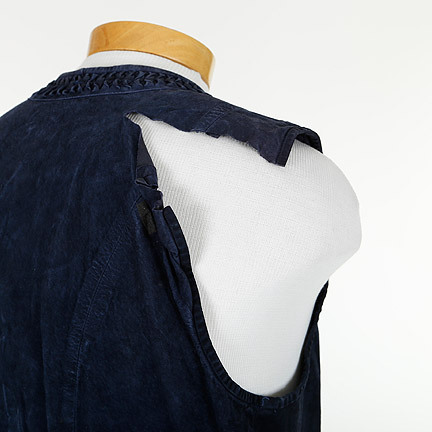 The vest is in distressed screen worn condition and is accompanied by a letter of authenticity from the costume house.